Delaware-based R&B singer Nadjah Nicole performs at Ladybug in 2017. Photo courtesy of Gable Music Ventures. The annual Ladybug Festival, presented by Chase, has announced dates for its 7th consecutive year. Noted as the largest of its kind in the U.S., the two-day block party-style music festival will take place July 20-21, 2018 and feature over 75 acts, including emerging and established women artists. The Ladybug Festival was co-created by Gayle Dillman and Jeremy Hebbel of Gable Music Ventures as a response to the lack of representation for women-identified artists on festival stages in the region and across the country. Since its inception seven years ago, Ladybug has staged over 300 solo artists and bands for the annual celebration of women in music. The stage has previously seen notable acts such as Caroline Rose, Larkin Poe and Grammy-nominated Mary Lambert. The first Ladybug Festival was attended by an audience of approximately 300. Since that time, the festival has witnessed tremendous growth, greeting approximately 10,000 attendees last year in downtown Wilmington. The 2018 Ladybug Festival will mark Chase’s second year as the presenting sponsor. The bank’s downtown Wilmington campus, where over 3,000 employees work, is just steps from the site of the event. Additional information about the festival can be found online at theladybugfestival.com. 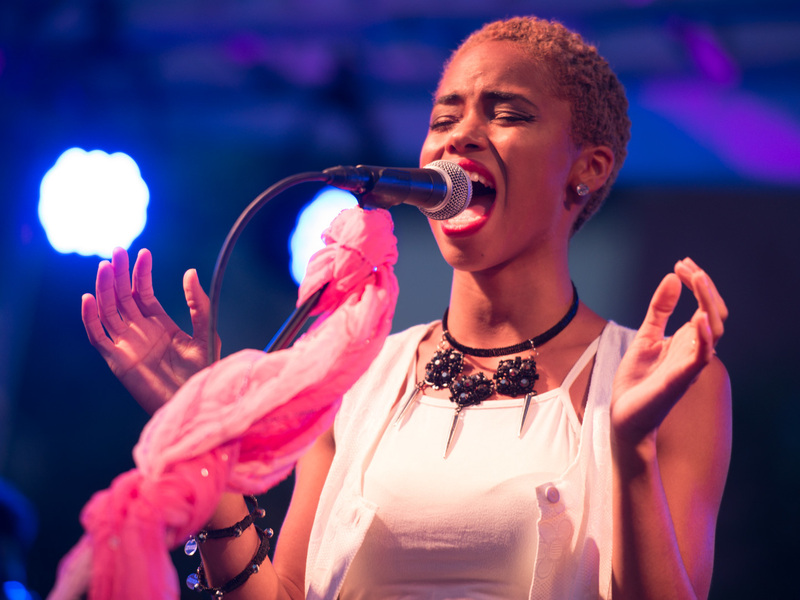 Founded in 2011, The Ladybug Festival is the largest female fronted music festival on the country that takes place annually in Wilmington, Delaware. Each year, thousands come from all gender and cultures, cutting across age and socioeconomic boundaries, to join in this celebration of women and their contribution to music. 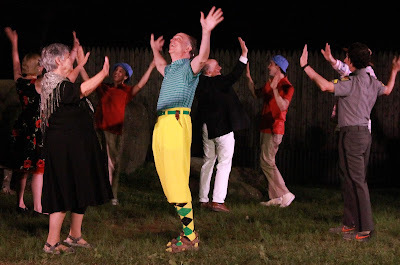 Revel in the Open Air with Shakespeare's "Twelfth Night"
The Arden Shakespeare Gild is continuing its over-100-year tradition of homegrown performances with the classic comedy Twelfth Night. One of the most popular and enduring of Shakespeare’s comedies, Twelfth Night invites the audience to the Mediterranean resort of Illyria where mischief runs rampant. 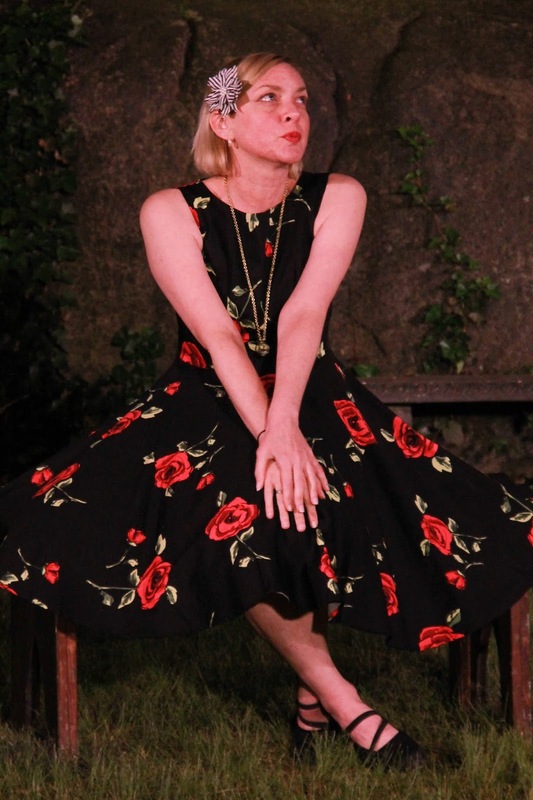 Set in “fairly modern times,” the usual elements of a Shakespearean comedy appear: twins, mistaken identity, cross-dressing, love, revenge and plenty of clever wordplay. The cast of Twelfth Night. Photos courtesy of Arden Shakespeare Gild. The story begins as Viola arrives on the shores of Illyria following a shipwreck. She is distraught as she fears her twin brother Sebastian (Colin Antes) has drowned. With the aid of the ship’s Captain (Tom Wheeler), she disguises herself as a young man under the name Cesario, and enters the service of Duke Orsino (Jason Fawcett). Orsino is enchanted with the fair Olivia, who is mourning the recent deaths of her father and brother. Olivia refuses to entertain romantic suitors, be in the company of men, or accept marriage proposals from anyone until seven years have passed. Orsino decides to employ Cesario as an intermediary to profess his love for Olivia. However, Olivia falls in love with the messenger Cesario, setting herself at odds with her promise to remain temporarily celibate. In the meantime, Viola has fallen in love with Orsino, creating a misguided love triangle. When McElrone and Stradley are on stage together as Olivia and Cesario, the dynamics crackle. Shakespeare’s words flow freely and the actresses’ nimble physical movements help relay both the romantic and duty-bound natures of their differing efforts. You can almost see McElrone’s heart flutter as she absorbs the mere presence of the stately Cesario. 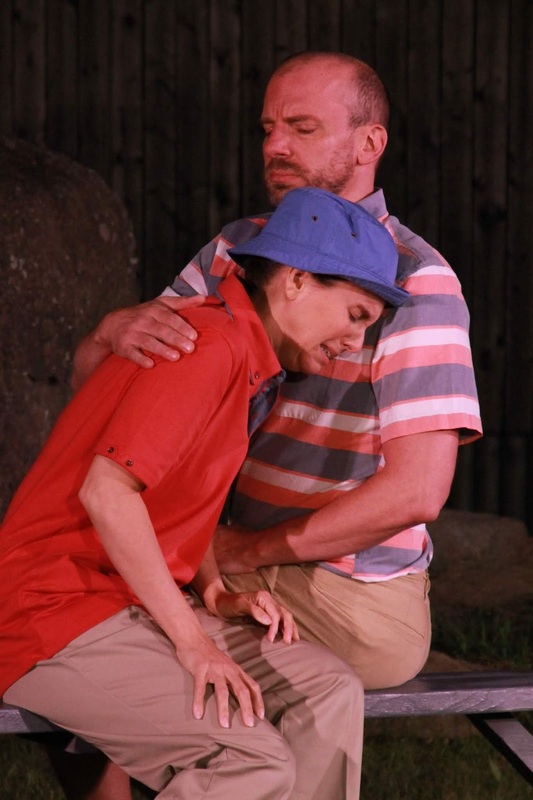 In a subplot, Olivia’s unruly uncle Toby Belch (Dan Tucker) and silly Sir Andrew Aguecheek (Henry Moncure III) drink and carouse late into the night at Olivia’s residence. In a great bit of comedic irony, the drunken revelers wake the house singing Hold Thy Peace. Olivia’s pompous steward Malvolio (Rob Hull) chastises them, which initiates a plot for revenge against him. Toby, Andrew, and house servants Maria (Elizabeth Varley) and Fabian (Petra DeLuca) team up against Malvolio with the help of the fool Feste (Liam Freeh). Moncure and Tucker play off each other brilliantly as a pair of old drunks trying to keep the good times rolling. The pair provide most of the physical comedy in the show, but others certainly hold their weight – just watch the boxing match between Cesario and Aguecheek. The conspirators convince Malvolio that Olivia is secretly in love with him by planting a romantic letter written by Maria in Olivia’s handwriting. Malvolio starts acting out the laughable contents of the letter to impress Olivia, who is shocked by the disturbing changes in him. Olivia leaves the apparently mad Malvolio in the care of her staff – the conspirators – who imprison him. Meanwhile, Viola’s twin brother Sebastian has been rescued by Antonio (Will Bryant), a sea captain who previously fought against Duke Orsino. Taking Sebastian for Cesario, Olivia asks him to marry her, and they are secretly wed in a church. Later, Cesario and Sebastian’s joint appearance in the presence of both Olivia and Orsino evokes confusion because of their physical similarity. At this point, Viola sheds the guise of Cesario, reveals her identity, and is reunited with her twin brother. The play ends in a declaration of marriage between Orsino and Viola plus it is learned that Sir Toby has married Maria. Malvolio swears revenge on his tormentors and stalks off, but Duke Orsino sends Fabian to placate him. All’s well that ends well, right? It should be noted that certain scenes include original music and period songs, often sung by Freeh. The night closes with a celebratory song and dance by the entire company. Sam Arthur, Megan Murphy King, Sarah McIlvaine, and Lisette Walker provide the live soundtrack for the performance. A member organization of the Arden Club, the Arden Shakespeare Gild is dedicated to including everyone with an interest in Shakespeare, both as audience and as participant. 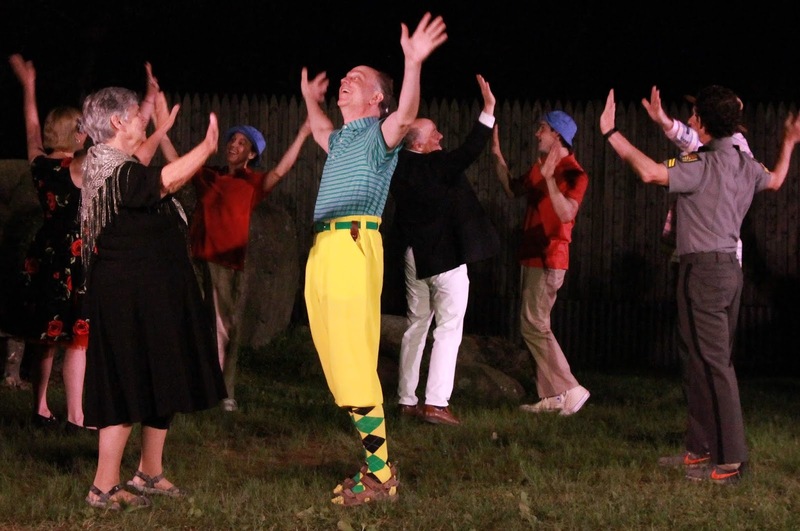 The Gild produces one of Shakespeare’s plays each summer in the open-air Frank Stephens Memorial Theater in Arden. Each winter the members direct a Young Actors Workshop for kids from age 6 through high school. The Gild also sponsors lectures, readings, and social activities throughout the year. Remaining performances are June 16, 21, 22, and 23 at 8:00pm, plus a matinee on Sunday, June 17, at 2:00pm. The shows take place outside at the Frank Stephens Memorial Theater (aka The Field Theater) adjacent to the Arden Village Green. Performances move to Gild Hall in the event of rain. Call 302.475.3126, Mailbox 4 to reserve your tickets or go to www.ardenshakes.com for online ordering. Prices are $10 for members, $12 for general admission, and $5 for children 12 and under. The Sunday matinee costs $7 across the board. Copeland String Quartet with guest clarinetist Charles Salinger. Photo courtesy of Copeland String Quartet. 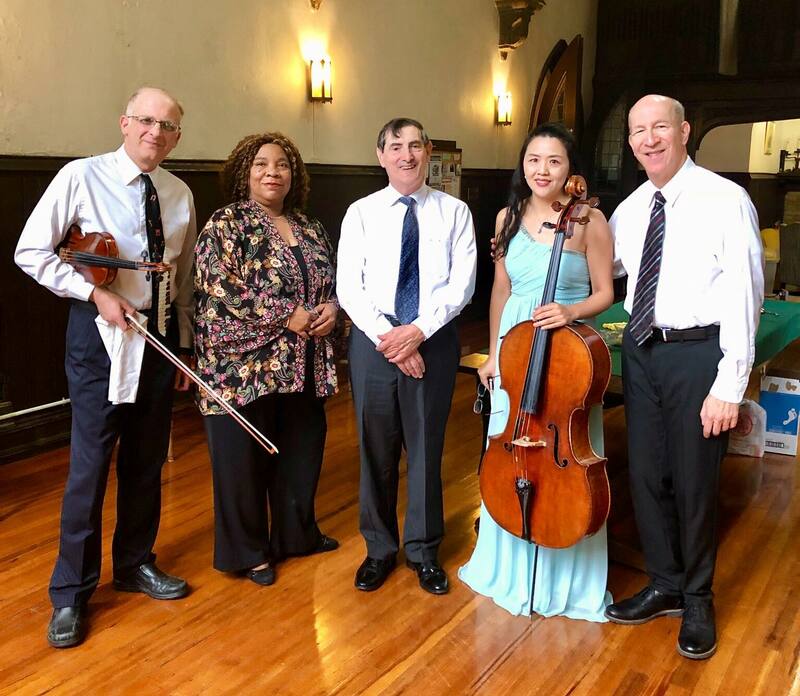 Chamber music aficionados packed the pews at the Church of the Holy City on Sunday afternoon for the season-closing concert of the Copeland String Quartet. It was certainly an event worth venturing out for on a rainy spring afternoon, and the musicians appeared quite delighted at the capacity audience. The main offering on the program was Brahms’ autumnal masterpiece, the Clarinet Quintet, featuring the talents of the Delaware Symphony Orchestra’s principal clarinetist Charles Salinger. The work was premiered by none other than the Joachim Quartet led by violinist Joseph Joachim with clarinetist Richard Muhlfeld whose playing impressed Brahms so much he came out of compositional retirement to write this enduring masterpiece for him. This is a difficult work to pull off. Brahms was a master of counterpoint, skilled in the subtleties of rhythm and melody. There’s a lot going in a Brahms composition and unless the players have a broad sense of the work, the result can be turgid and endlessly dull. Happily, that did not happen here. Copeland turned in an achingly beautiful performance with a lush string sound overlaid by Salinger’s lithe and liquid clarinet. The poignancy of alternating major and minor tonalities was interspersed with decisive declamatory passages. Salinger’s rhapsodic playing over wavering strings in the second movement entered into a shadowy dialogue with Eliezer Gutman’s first violin, colluding in final rising arpeggios. Salinger’s virtuosic command of his instrument revealed itself in the mercurial leaps of the third movement. Gutman navigated his colleagues through some intricate tempi in the fourth movement which also afforded a solo opportunity to cellist Jie Jin. Music of a very different sort opened the program: Dmitri Shostakovich’s String Quartet No. 3, Op. 73 in F major. The Third was the only work composed by Shostakovich in 1946, an indication of the trouble that lay ahead. The Zhdanov Decree was two years away but already the attacks had begun against artists and writers. The writing in this quartet makes incredible demands on the players. Much of it is set in the instruments’ higher registers and there are instances of soloistic virtuosity that seem at odds with the ensemble playing expected in a quartet. Furthermore, the harmonic language is gritty. Each movement is in a home key but the continuously chromatic writing obscures the tonality. Copeland offered a most impressive rendering of this emotional work. The players applied a light touch to the almost Haydnesque first movement, took a cautiously restrained approach to the ominous second and unleashed the demonic power of the Scherzo. The last two movements took the audience to an even darker place before settling into an uneasy peace with the three closing F major chords.